There are 5 reviews of Lavender. Just received a bottle of this from Floris today. What a lovely lavender scent! 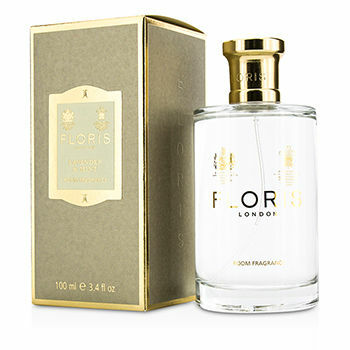 To me Floris's Lavender seems like a cross between Yardley's English Lavender and Agua Lavanda Puig (Floris's Lavender is definitely a more natural lavender than the current Yardley formulation). It's clean, simple, and elegant. Fresh, airy, delicate and a bit clean laundry type. The smell of my grandfather with his white clothes and the walking stick. Aromatic and boise'. A bit grassy and salty at the beginning. Minimalistic. Sadly discontinued. Lavender usually begins to smell like cat piss on my skin, Jicky being the exception. This seems very true to lavender, and I love it when it's not on me. So, I use it on sheets and in my drawers, and it lasts an amazingly long time. One of the best English Lavender, with D. R. Harris and Pennhaligon's.. but sadly discontinued this year. Why ? A so great and successful fragrance..
You must be a lavender "person" to appreciate a good Lavender ??? Not at all - this one is fresh but not "harsh" and well lasting. I would not call it a 100% classic lavender (the one you can get in any corner shop !!!) this is delicate -refined and elegant. A Class on its own !! !